My revamped website, featuring more of the stuff I do, and less of the waffle. I am a performer, composer, sound designer and creator of bespoke noises for all types of media - theatre, film, web, big screen, small screen, and street. 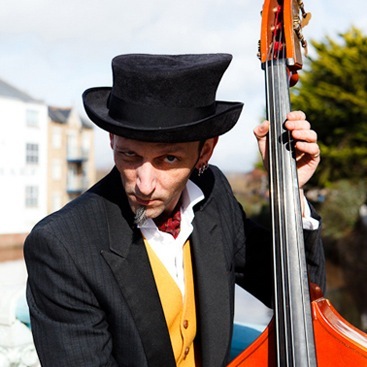 I play double bass in various bands, notably the Thunderbridge Bluegrass Boys, and Redfoot Rockabilly. I also build various contraptions, machines, and sonic things.